MOTO 4 ROAD 10W-40 incorporates a clutch anti-slippage technology and gives superior performance in terms of lubrication. You will enjoy a more comfortable ride thanks to easier acceleration and a visible reduction in smoke emissions when starting. 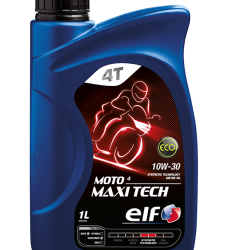 * ELF MOTO4 ROAD 10W-40 is a lubricant that is particularly recommended for all types of 4-stroke engine motorcycles, in compliance with the API SJ and JASO MA2 international standards. 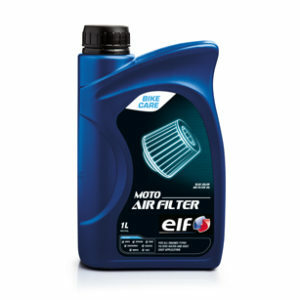 * ELF MOTO4 ROAD 10W-40 is perfectly compatible with catalytic converters. The oil-change intervals recommended by the constructors and the minimum required viscosities must be complied with. This lubricant is compatible with lead-free fuels. This multi-purpose lubricant meets the severe requirements of urban traffic and long-distance runs. 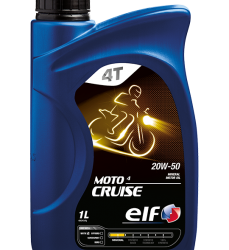 * ELF MOTO4 ROAD 10W-40 is fortified with synthetic based oils, providing hydrodynamic lubrication and superior engine cleanliness. * ELF MOTO4 ROAD 10W-40 has a specific reactivity to temperature variations. Its maximum fluidity at low temperatures improves injection and ensures that oil pressures rise quickly. 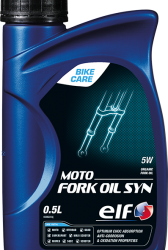 * Viscosity controlled in relation to temperature: ELF MOTO4 ROAD 10W-40™s additives thicken the oil at high temperatures and give it fluidity at low temperatures. The correct oil film is obtained by controlling the viscosity in accordance with temperature using Viscosity Index Improvers. 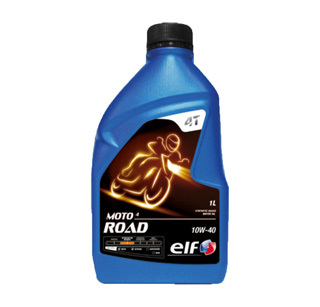 ELF MOTO4 ROAD 10W-40 viscosity incorporates superior lubrication performance, ensuring easy cold start-ups, fast oil pressure rises and low friction between moving engine components. * Piston ring sealing, power gains: ELF MOTO4 ROAD 10W-40 reduces piston ring groove fouling for optimum sealing during combustion. This ensures that the engine retains its full power. * Oxidation resistance: ELF MOTO4 ROAD 10W-40 has anti-oxidant additives which neutralise and slow down the oxidation process. This prolongs the lubricant’s lifetime and keeps the oil fluid and efficient. It remains homogenous and its acidity level scarcely changes. * Anti-clutch slippage, disk protection: Because of their molecular structure, the base oils are able to form a homogenous film between the clutch disks. The friction factor is adapted to mechanical requirements, preventing clutch slippage and premature disk wear.